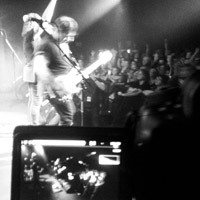 "Get your Music Video Played"
Immersion Imagery can record your live event for DVD sales, exposure on your web site, Youtube, Facebook or for archival purposes. We can shoot multi-camera to provide the right type of coverage and deliver in your required format. Below are various packages to suit your production requirements. Please keep in mind when considering a live concert recording the the quality of the video comes down to your light show, for ideal results please consider some form of lighting preferably front and back stage lighting, smoke also looks great. No strobes or lasers (this does not record well). 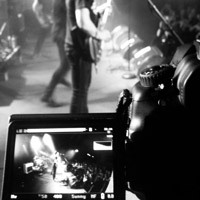 The Shot Promotional option is one of the most popular live recording options. If you are a performer that is looking to showcase your show, songs & live performance to clients or to assist with promotion this is the way to go. Song showcases or promos are ideal for building a web following on Youtube and other social media channels, this works well as a step up from the simple lyric video format as your fans can see you preform live and have the option of purchasing your song from itunes, learning more about you, your upcoming releases and concerts. *Short Video Promo: Engaging and cover various musical styles / song titles to showcase your talent edited down to a 3-5 min promo. *Or full song showcases: Ideal for building a web following and highlighting various songs in full. 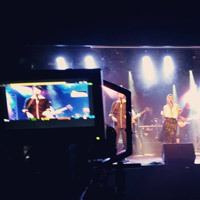 This package offers DSLR video recording with prime low light lenses however please note that the cameras will have to be started and stopped between each song (or max every 3 songs) and we can only offer 30min of record time. A full production recording is the way to go if you are looking to record your event for DVD sale or longer duration promotional use. The advantage of a full recording is that songs can be uploaded to Youtube / Social networks and feature full length recordings of your songs. This is a good option if you are looking to showcase various example of your music / talent / styles for fans or for your growing audience. Or tailor a package to suit your needs. We recommend at least a two camera recording, this allows for basic coverage. For a dynamic shoot we do recommend the use of additional cameras, this will add to a more professional looking production. Below are some things to keep in mind when thinking about a live event recording. *If you are a band, theatre company, business or promotional manager keep in mind that lighting plays a big part in the overall quality of your video production. For example if you are a band and have a concert coming up that will have a good light show this would be preferable over a small performance (like that of a pub or function) with poor lighting. *Keep in mind that cameras need lighting, all to often we have had to shoot a recording in very poor light, while this is possible we may have to introduce gain (noise) which will effect the overall look of the recording, in addition front and back light will add a lot to the look of your production. We recently had to shoot in a small venue that only had small 12v halogen lighting from the front of stage, this unfortunately while is adequate made for a poor looking video. *Keep in mind that a camera can not discern colours the same as the human eye, if you would like to have red and purple colour gel filters incorporated in you light show please talk to us or put us in contact with your lighting operator to discuss gel filters that do not record adequately. This mainly occurs with either a dark blue (eg:Congo Blue) (UV) or dark red (IR) coloured gels. *Keep in mind that unfortunately due to how camera sensors are designed the use of strobe lighting or lighting that has a cycle rate of higher then a 25th of a second will not record adequately. *Laser lighting can permanently damage camera sensors, please do not incorporate laser lighting in your recorded live event. *With live recordings we recommend taking an audio feed from the house desk, in addition we will record audio to camera through the use of a shot gun microphone to get room atmos audio however a mixed feed is preferable. *Cameras and operators need space, please keep this in mind and contact your venue to arrange for adequate camera set up space. If you are a theatre please keep in mind that each camera position may require 2-3seating spaces. *If you are a band looking to play in a pub or venue location please keep in mind that sometimes due to audience volume vibrations may be transmitted to camera due to audience jumping on the floor, there is not much that can really be done however adequate camera space and correct camera positioning may limit this as an issue. Below is a sample of some different live event recordings.